We enjoy the challenge! We work with builders, architects, homeowners, shop owners, and property managers to help you fully realize your vision. Our entire process is achieved in our shop. 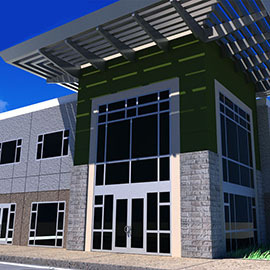 From architectural and shop drawings, to welding, to soft production - our full-time staff is on-site and ready to help. We employ professional installers who have been fully trained and are certified to be on your job site. 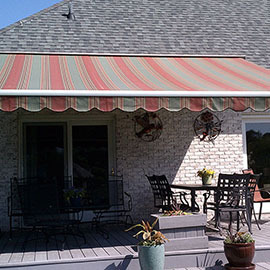 Established 1999, the owners and staff have over 50 years of combined awning experience. We strive to provide high quality products on a timely basis and exceptional services to our customer. Our goal is to treat our customers and co-workers in a professional, kind and friendly manner and to be a positive influence in the community. 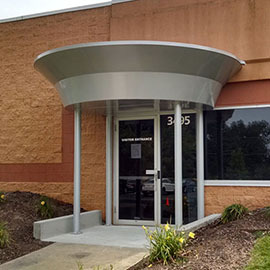 Our trained professionals are not limited to only designing and fabricating your custom awnings, we will also install your awnings with the same care and attention to detail with which we design and build our product. We take great pride in our craftsmanship and our staff, and stand behind our final product. Should you ever experience any problems we will be happy to assist you and will work diligently until you are absolutely satisfied. No matter the style you are looking for, Cool Planet will help you design, manufacture and install your custom awnings so that you achieve the look and style which best fits your lifestyle. 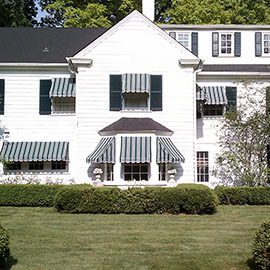 We fully understand your home is a direct extension of your personality and our experts will help you design the awnings which best fit your situation.